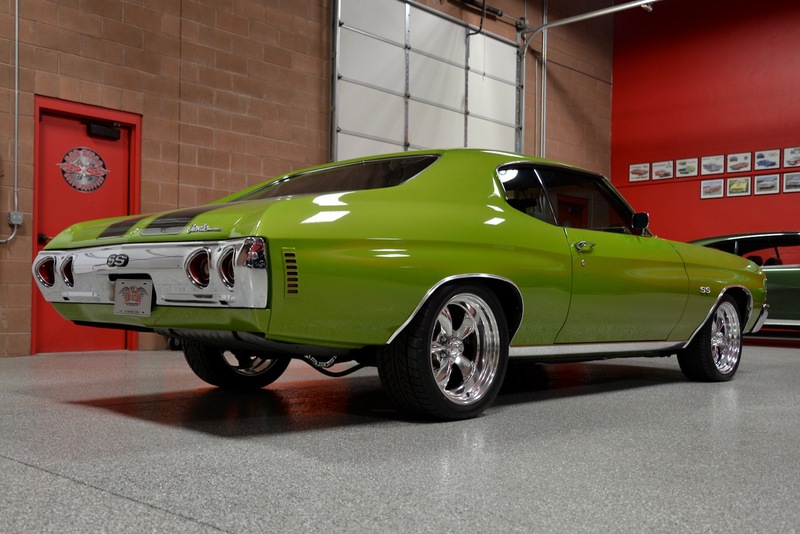 Let me start off by saying: this car is an absolute show-stopper folks! 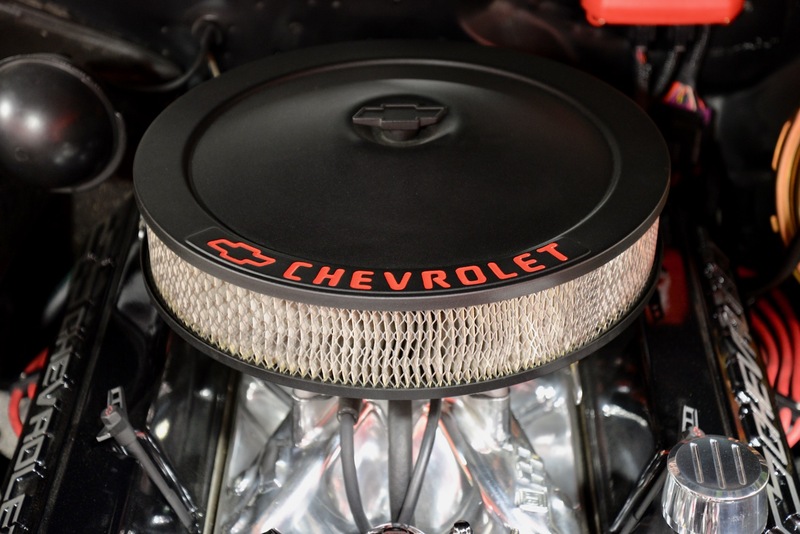 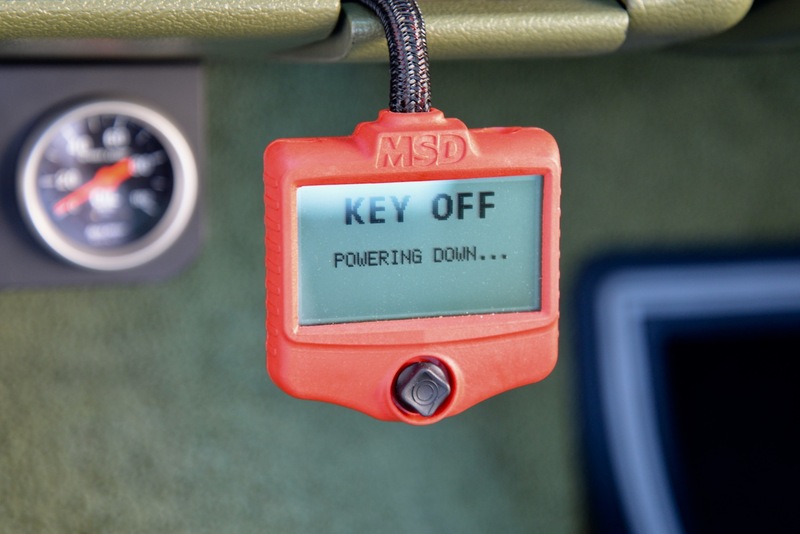 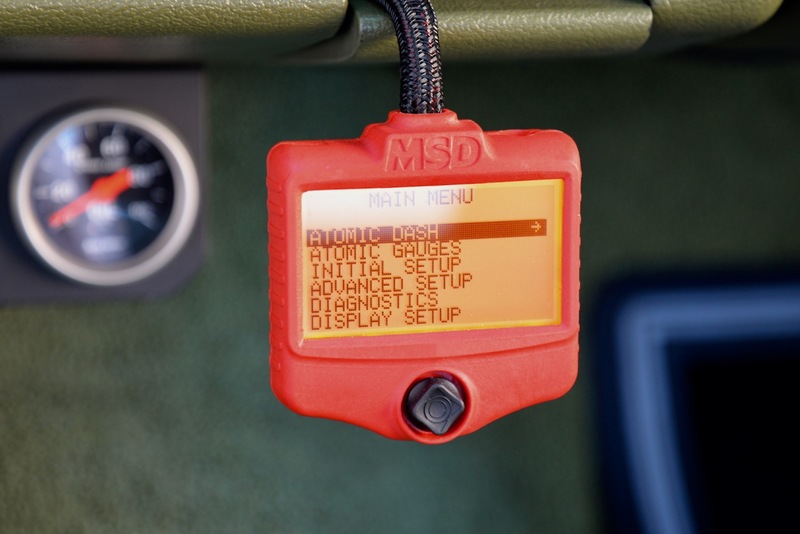 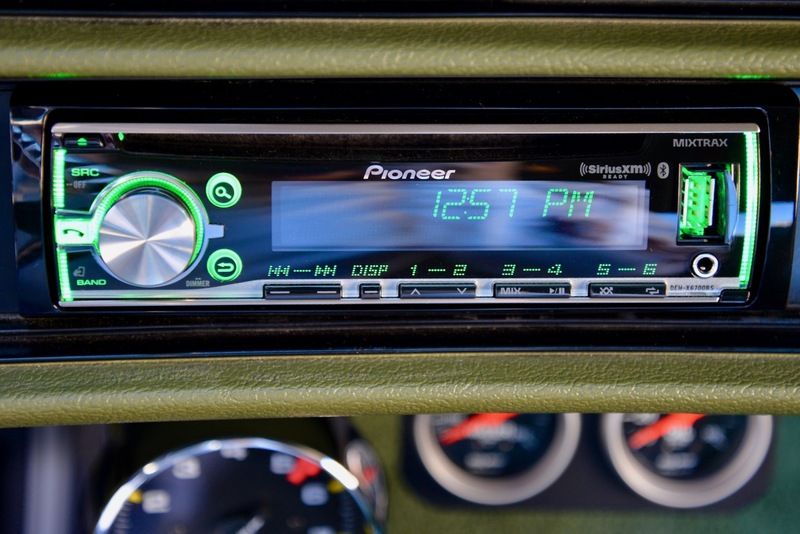 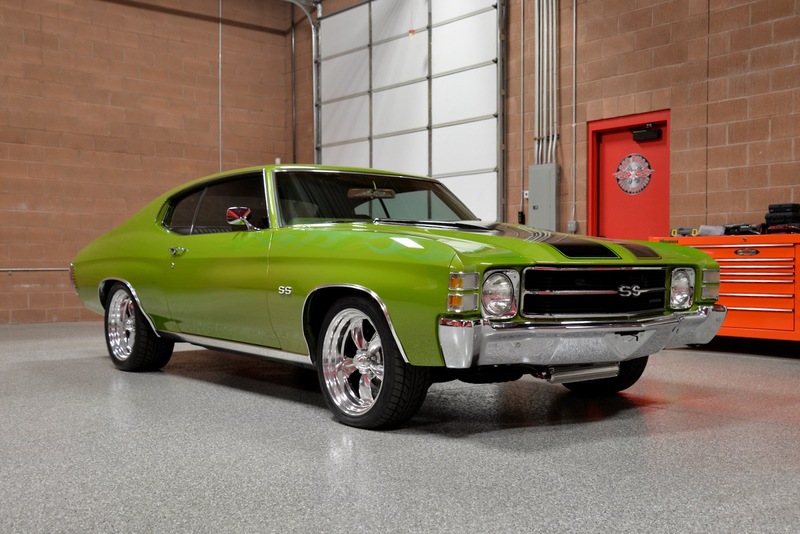 When it comes to restoring classic muscle cars, the decision comes down to whether you want to take the car back to factory stock appearance, or whether you want to add your own unique personality to the build, using modern technology that will allow you to enjoy the car to the fullest. 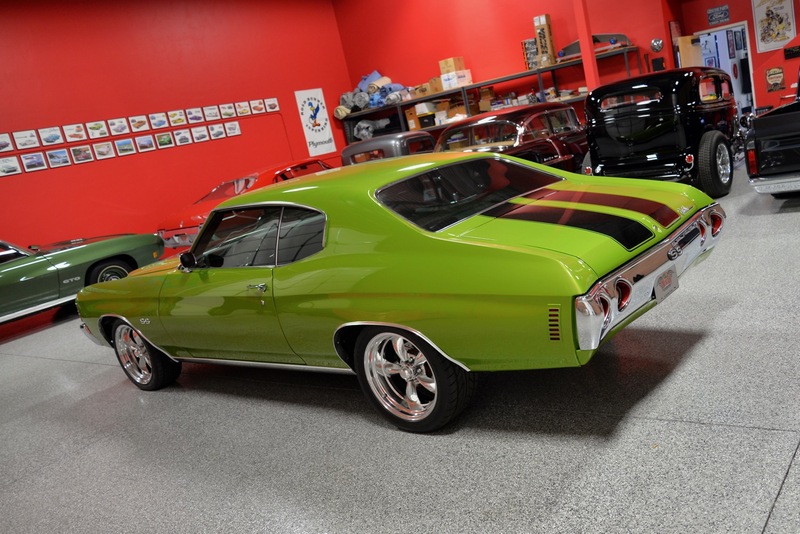 The gentleman who restored this gorgeous car chose to combine both ideas, and he hit it straight out of the park! 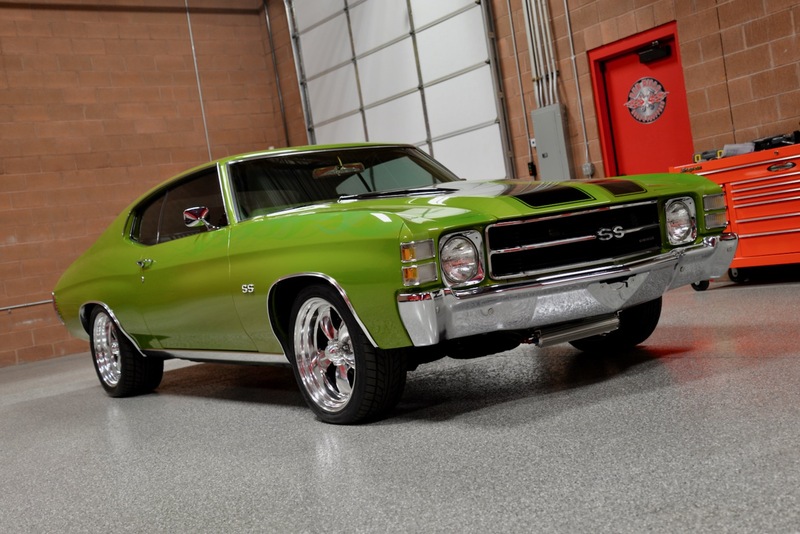 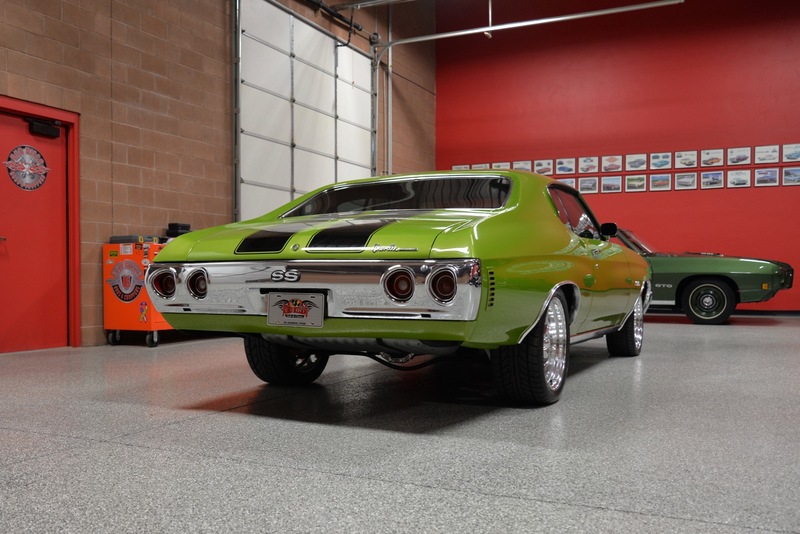 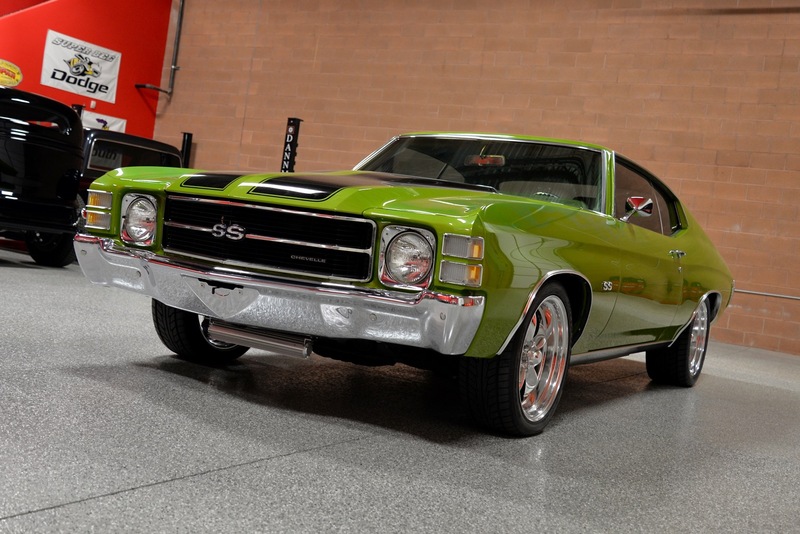 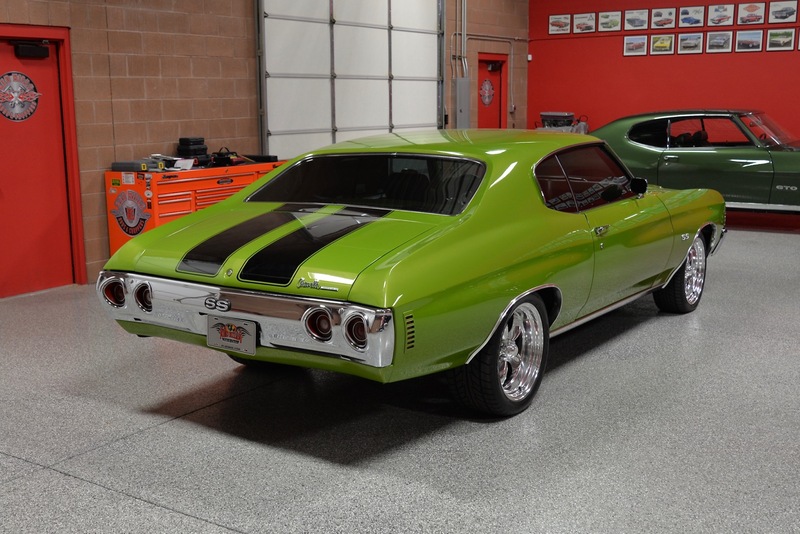 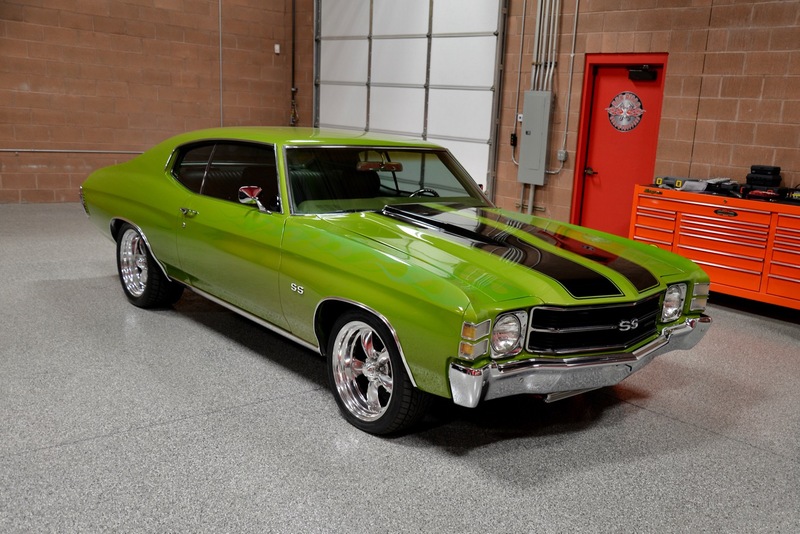 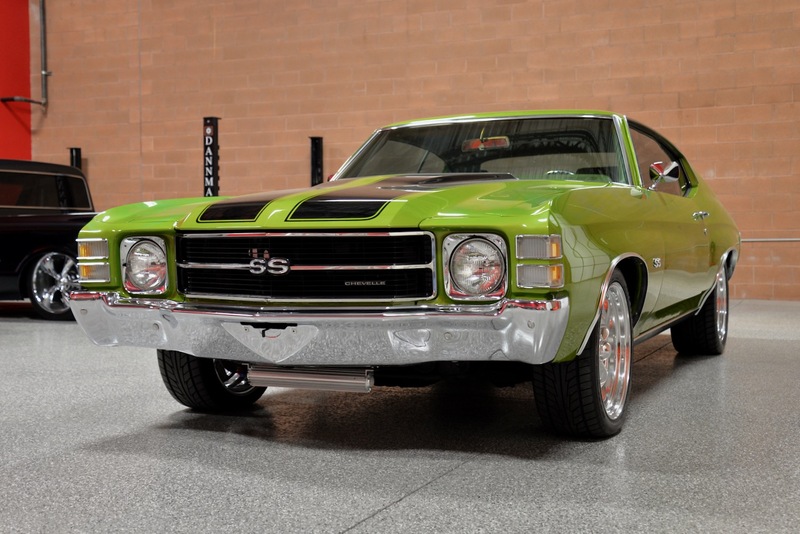 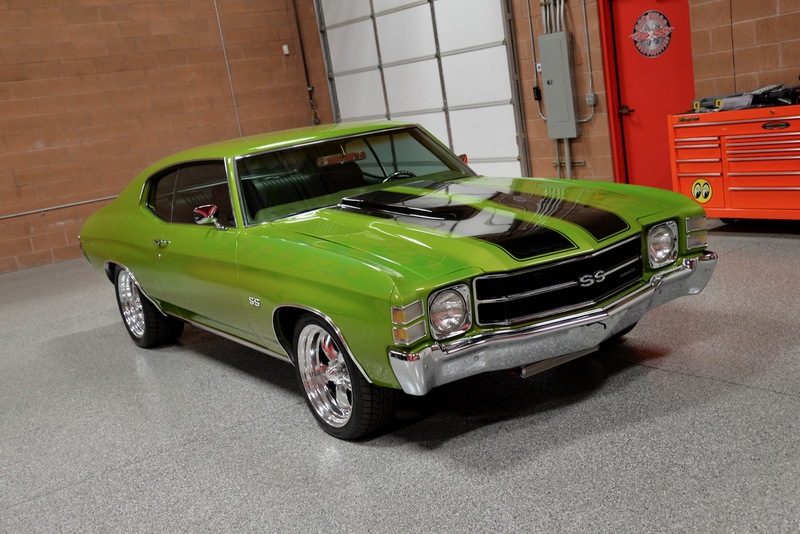 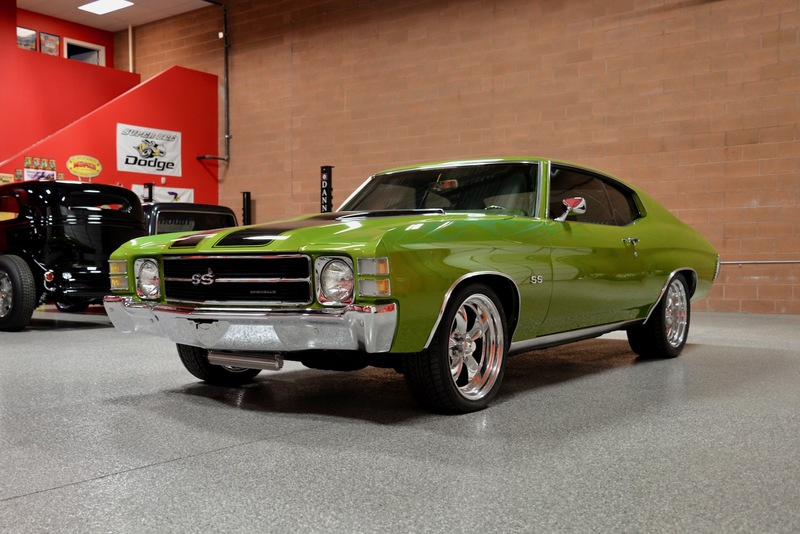 ‘Red Hills Rods & Classics’ is very happy to offer you this stunning 1971 Chevrolet Chevelle SS Custom finished in its factory original shade of (Code 43) Lime Green w/ black stripes and very subtle ghost flames, wrapped around a beautiful light green bucket seat interior. 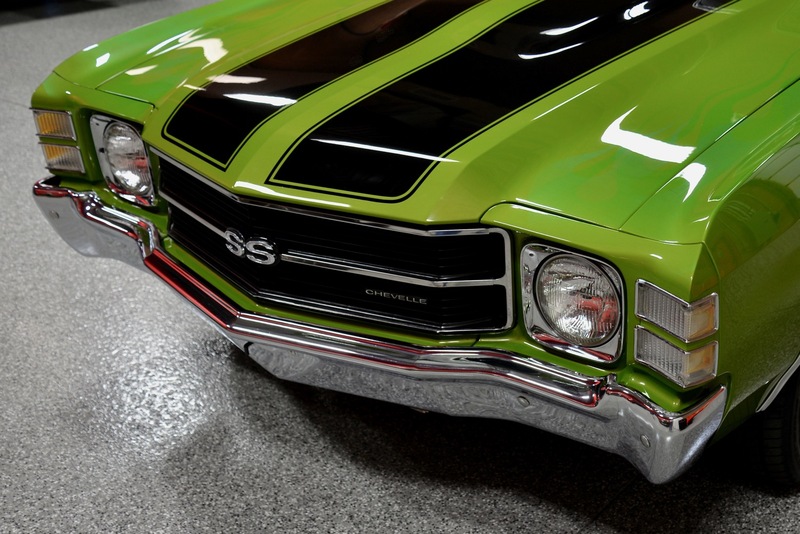 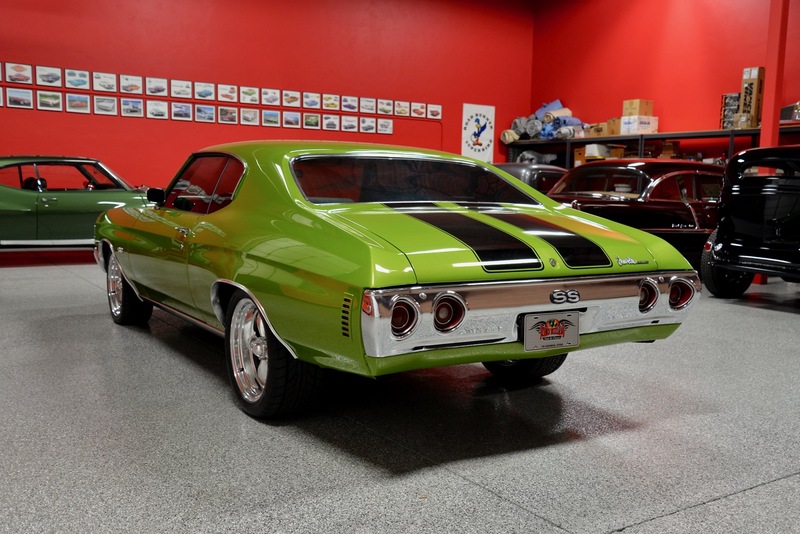 This color combo looks amazing on this Chevelle, and is very indicative of the wild colors used in the early 70’s. 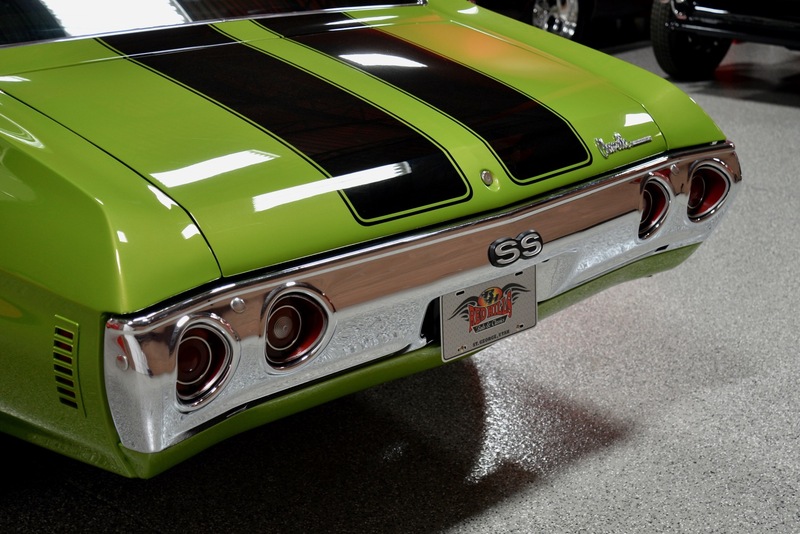 The ghost flames on the very front of the car are so faint that you have to be right up on the car to notice them. 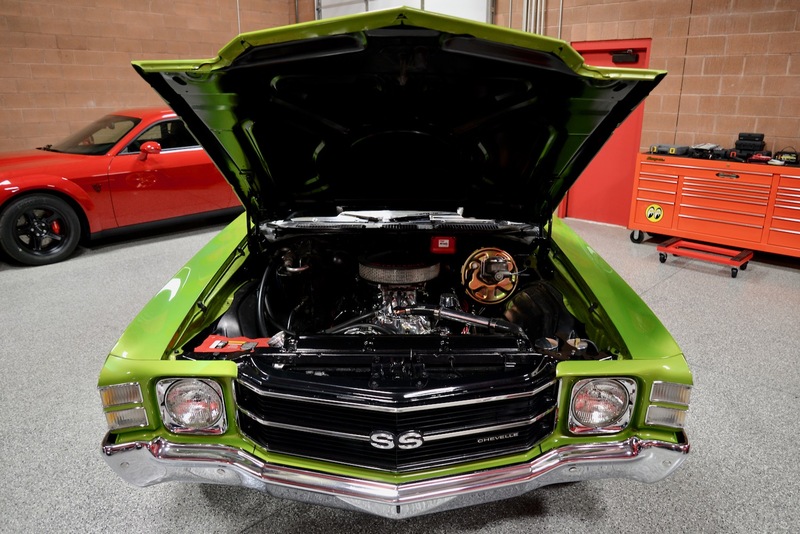 The restoration started an ultra-clean ’71 Chevelle Malibu 6-cylinder car which was chosen due to its amazing original condition. 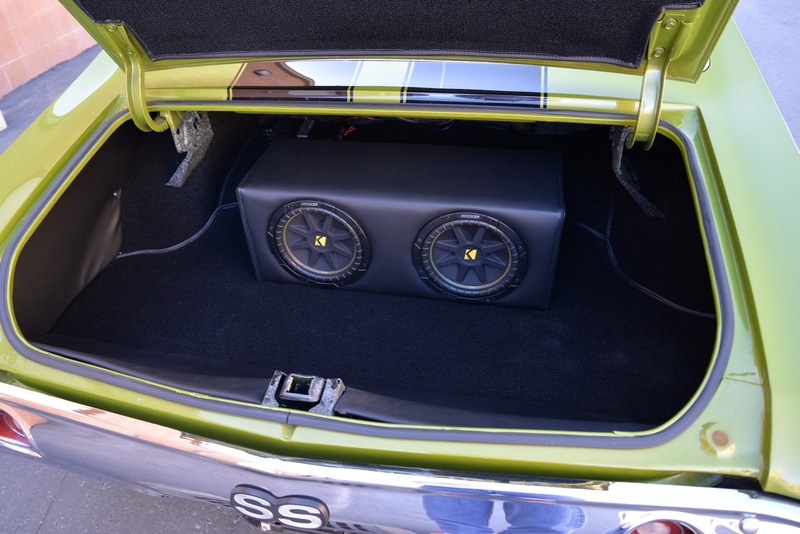 It was the perfect car to use for this build. 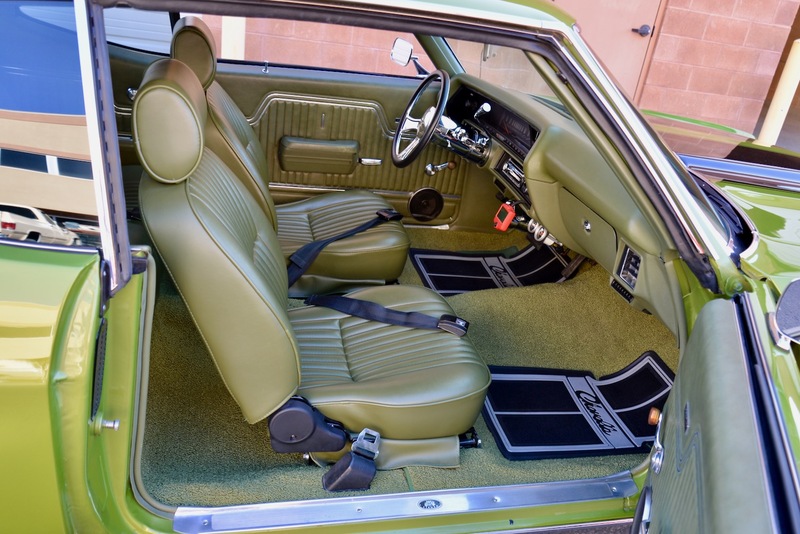 All of the sheet metal is laser straight all the way around & down both sides w/ no ripples or inconsistencies whatsoever. 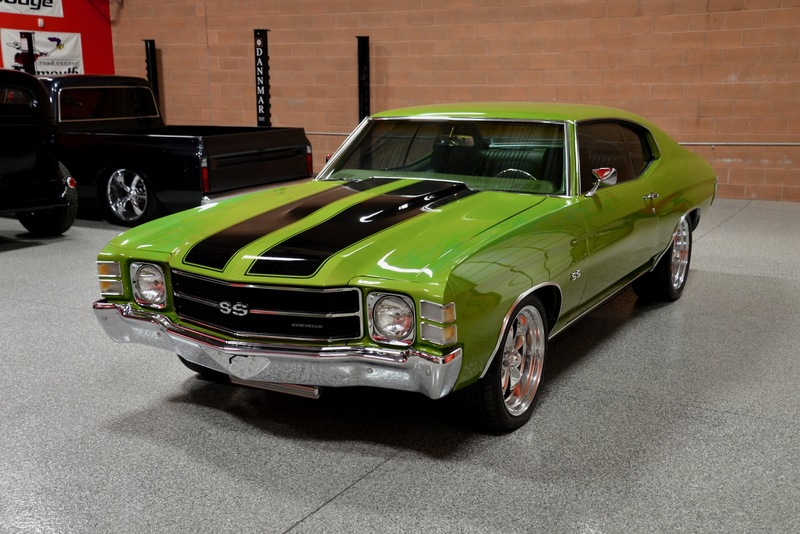 The Lime Green paint is simply gorgeous and literally explodes once you are out in the sunlight. 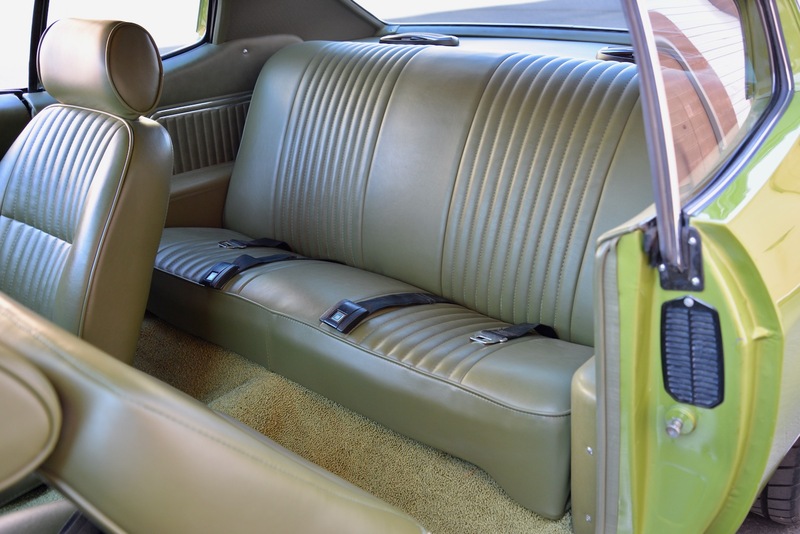 All of the chrome, bumpers, stainless trim, etc., is in show-quality condition throughout, and all of the glass is nicely tinted. 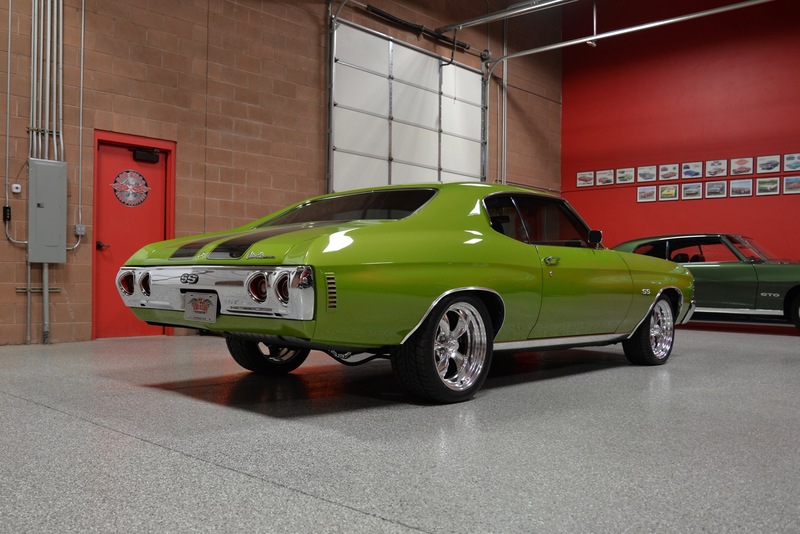 She sits on polished 18” American Racing Classic Torq-Thrust II wheels wrapped w/ Nitto NT555 Extreme radial tires (275/40 ZR18 on the rear & 225/45 R18 up front). 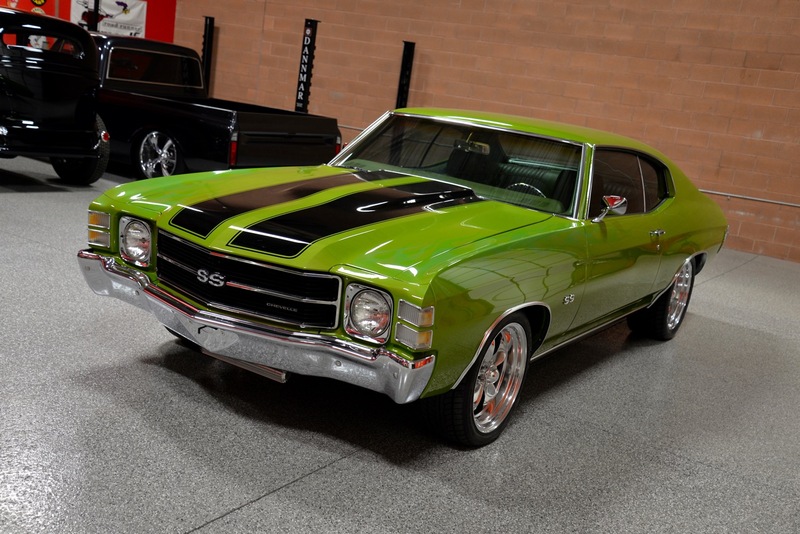 It is impossible to explain how beautiful this car is in person, as photographs do not do it justice at all. 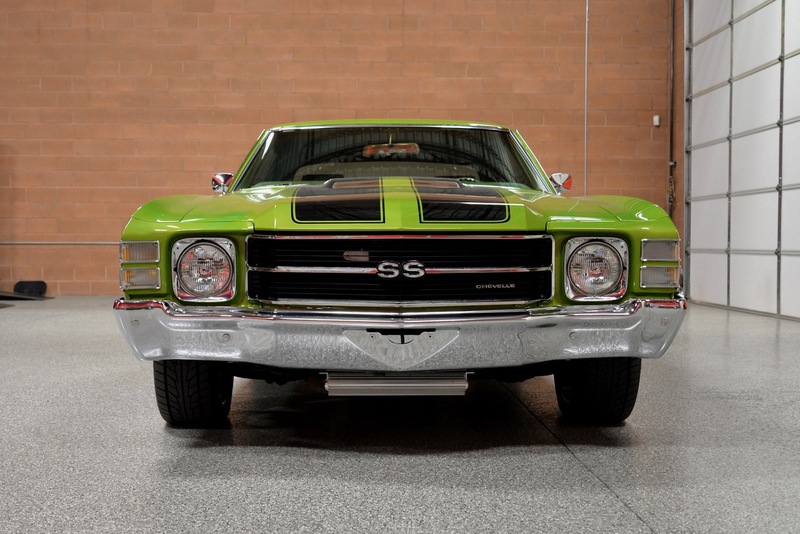 Everyone who sees the car up close immediately fall in love with it. 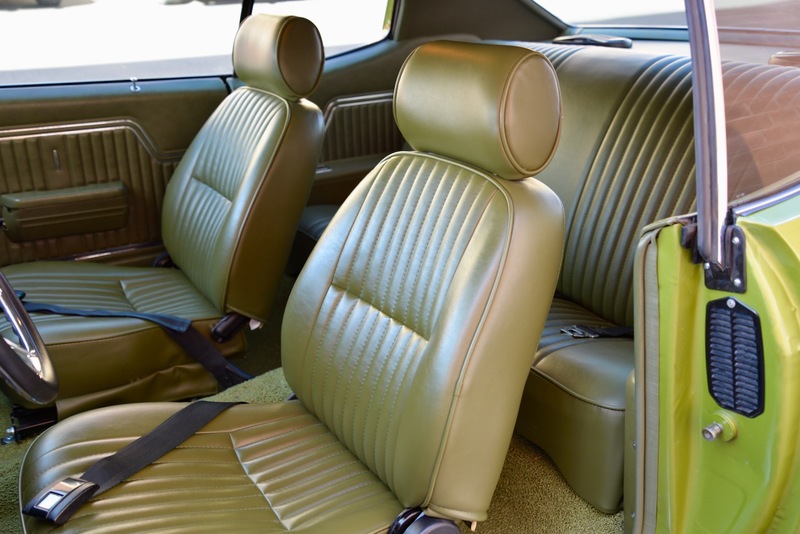 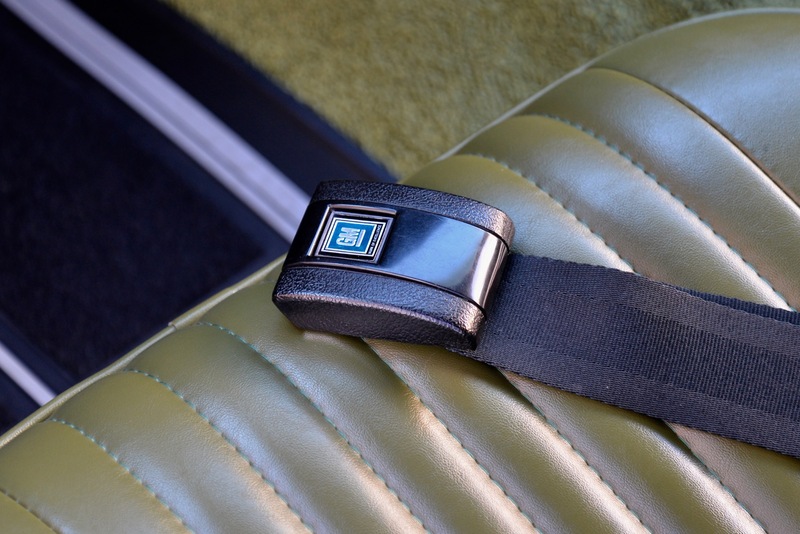 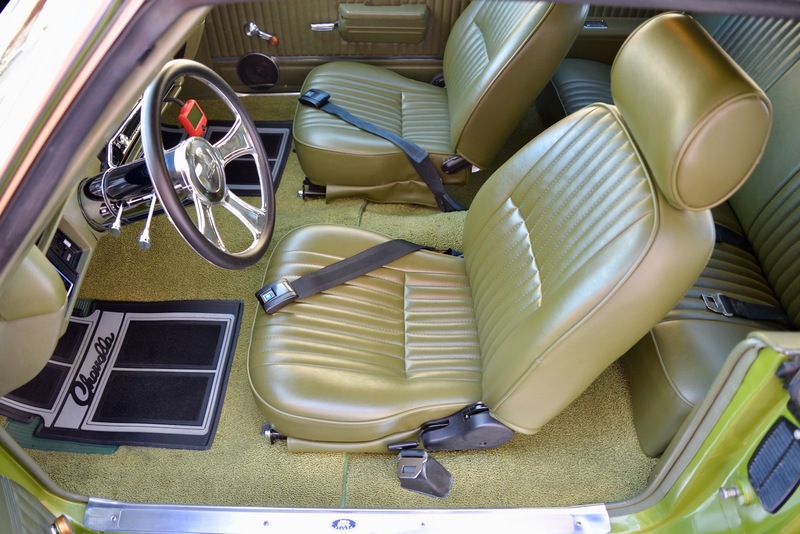 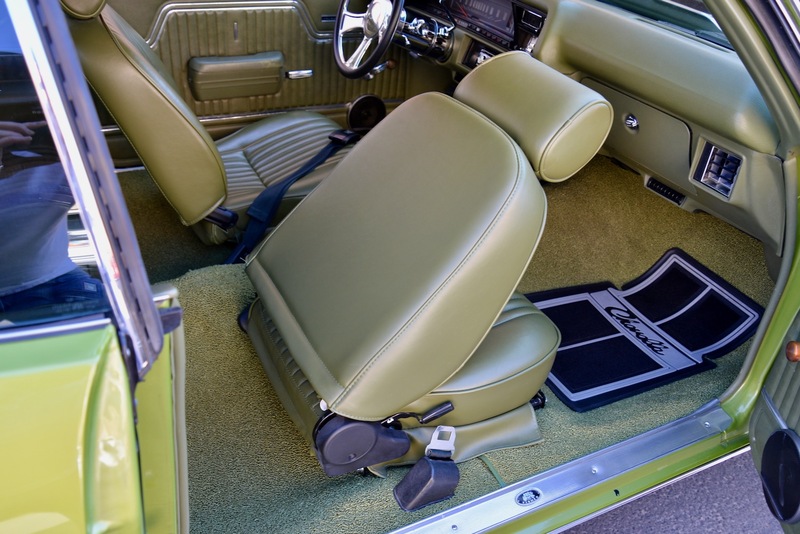 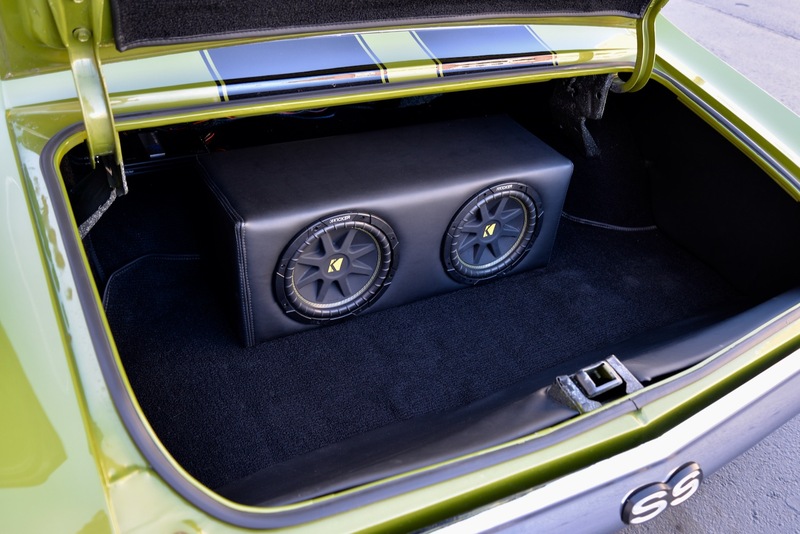 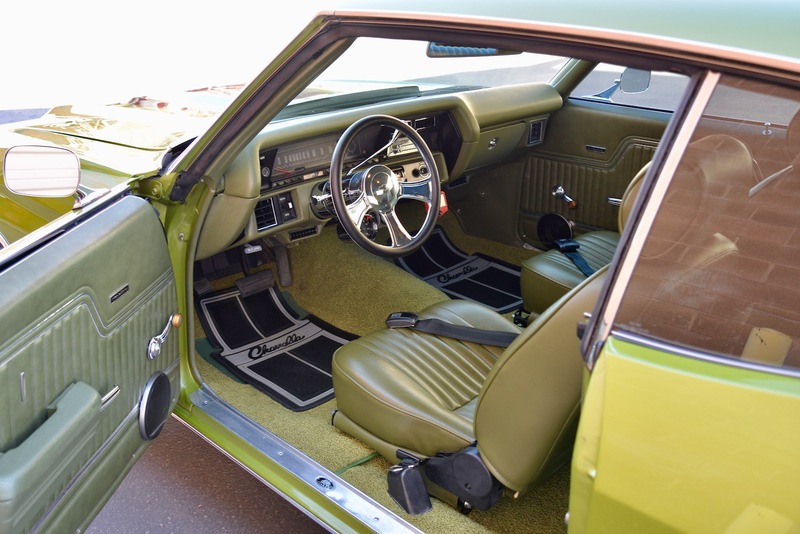 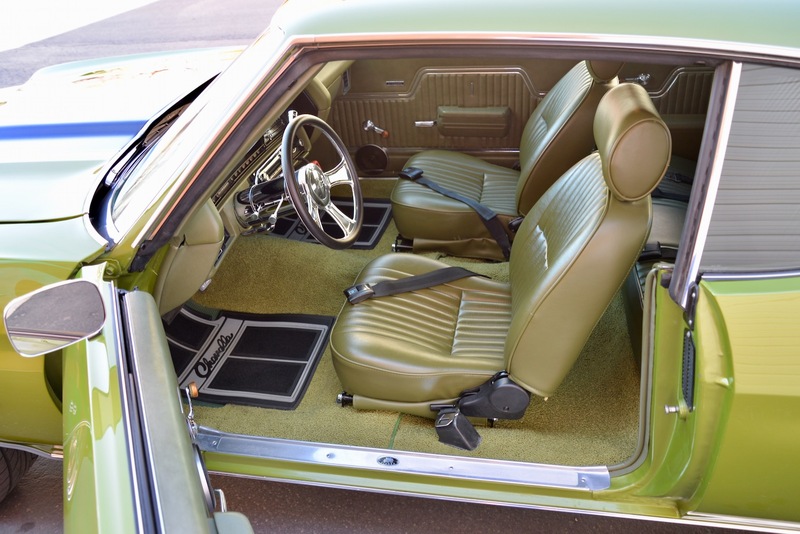 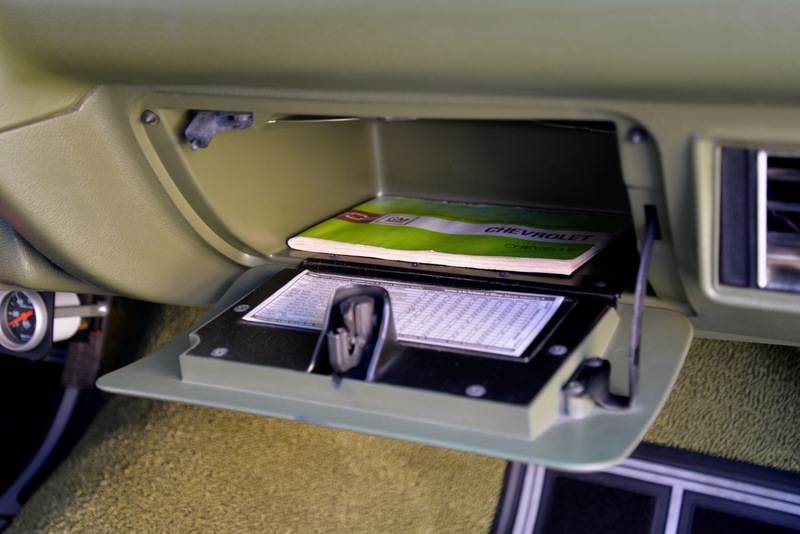 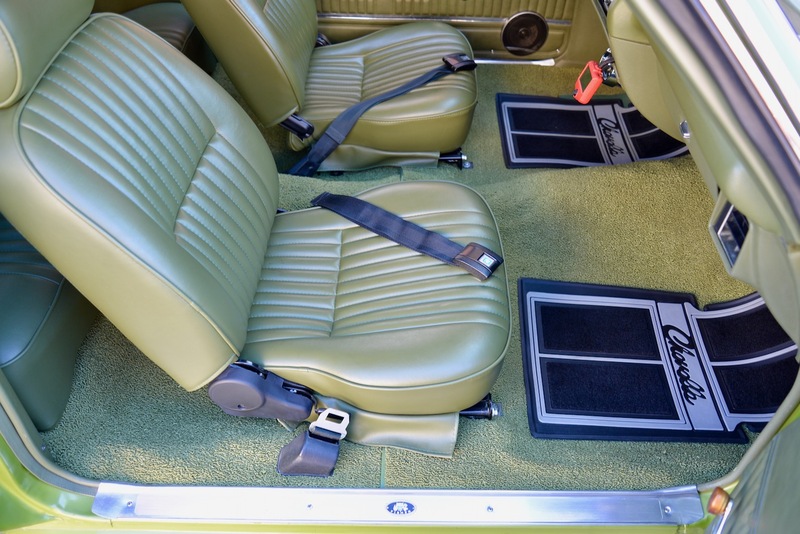 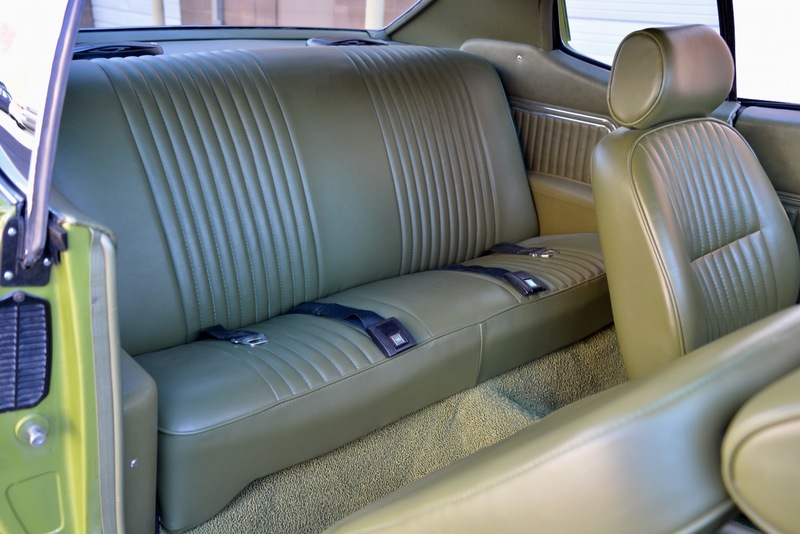 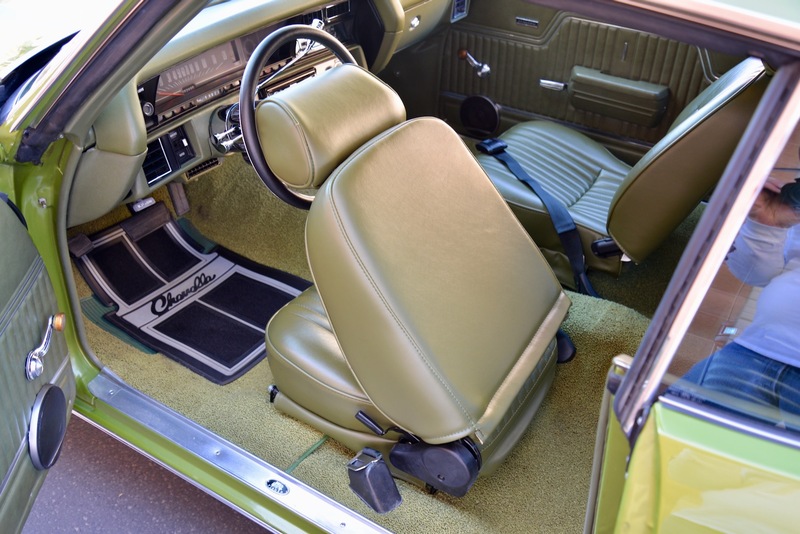 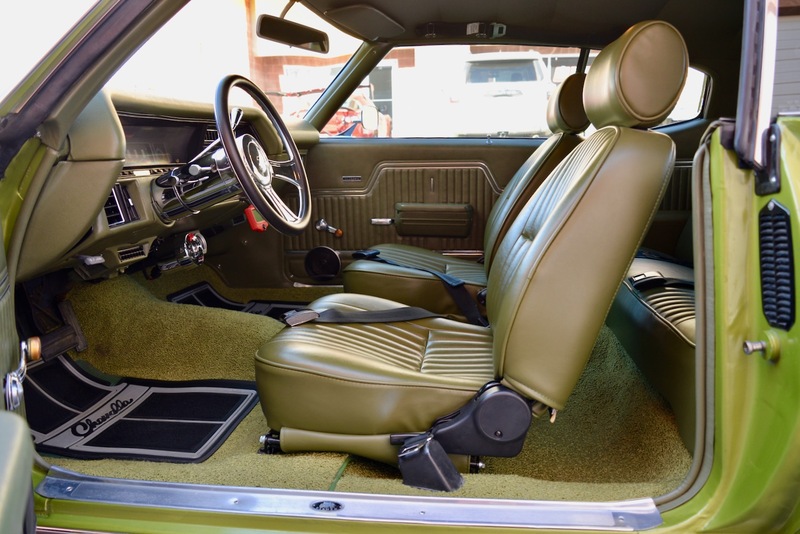 Open the driver’s door and you will find a beautiful light green bucket seat interior w/ a bit of customizing to make it much more user friendly. 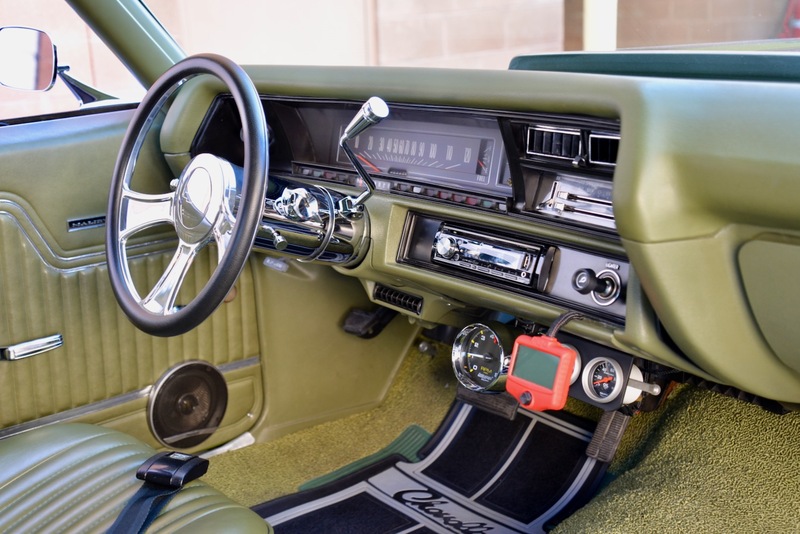 Features include: chrome tilt Ididit steering column, wrapped Billet Specialties three-spoke steering wheel, chrome column-shift lever, black factory GM seats belts front & back, Auto Gage tachometer (under-dash), Auto Gage water & oil pressure gauges (under-dash), Vintage Air Conditioning, MSD Atomic EFI remote control module, DEH-X6700BS Receiver (CD, MIXTRAX – Bluetooth - Sirius-XM-Ready - Siri Eyes Free - USB Playback - Android Music Support – Pandora - Voice Activation – Hands Free Calling - Color Customization), (2) Pioneer coaxial speakers in the doors panels, (2) Pioneer triaxial speakers in the rear deck, and (2) KIKKER 12” Subwoofers mounted in the trunk. 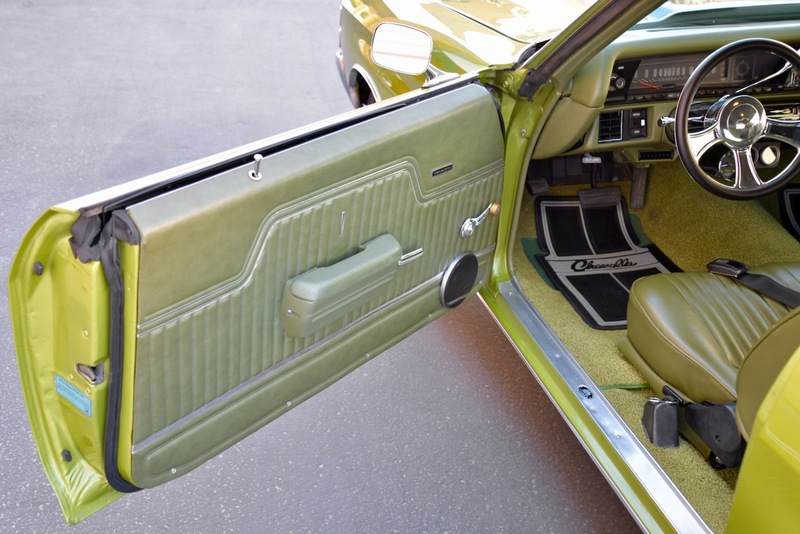 What you have here is the factory stock appearance w/ a touch of contemporary thought. 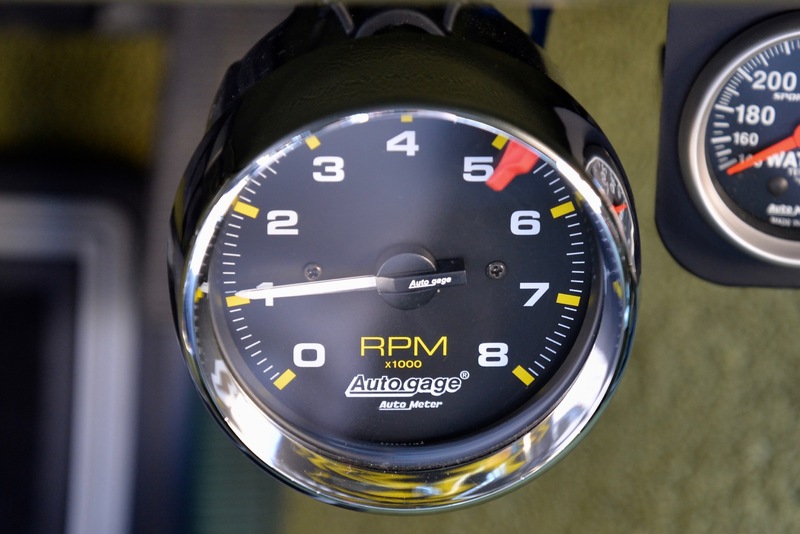 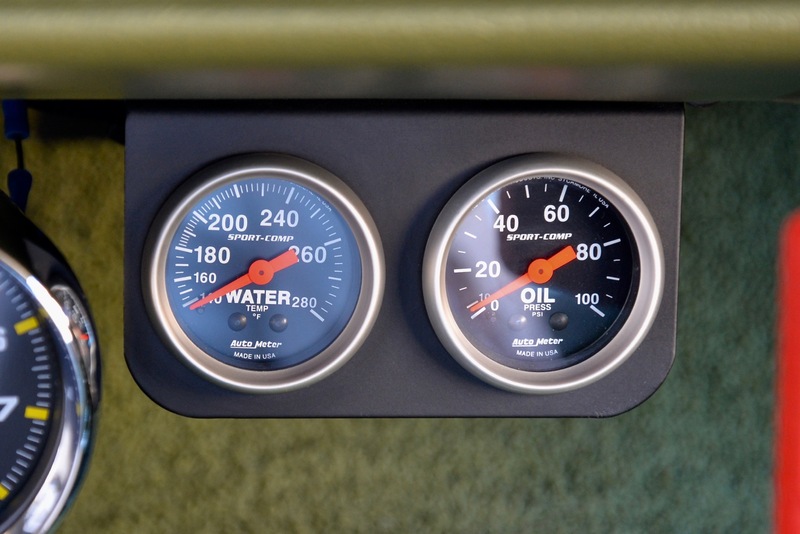 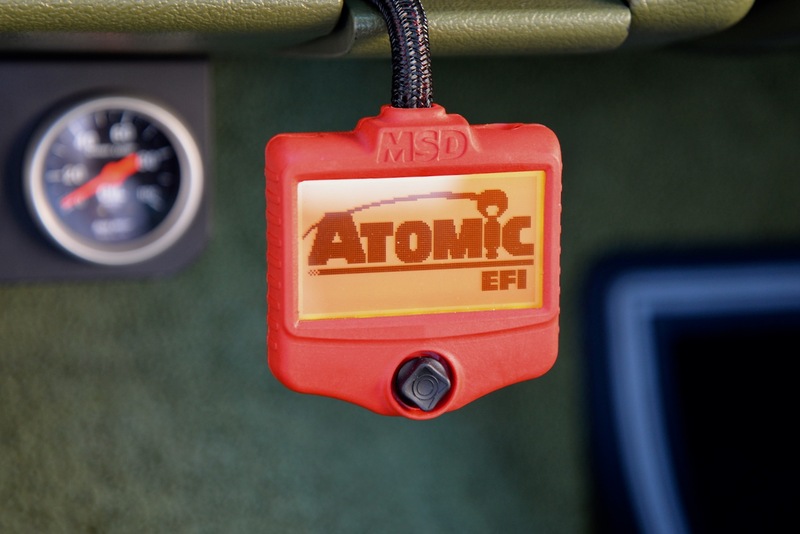 All of the gauges, electrical components, etc. 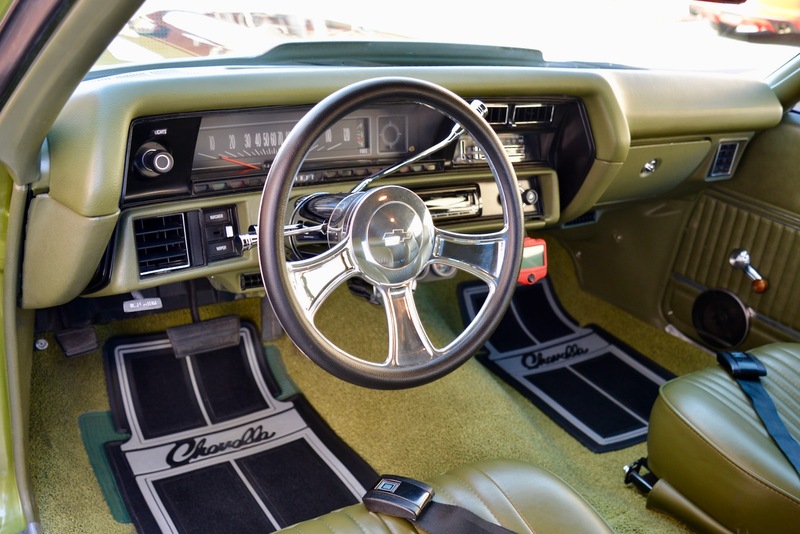 are in perfect working order, the Vintage AC blows ice cold, and the sound system sounds amazing! 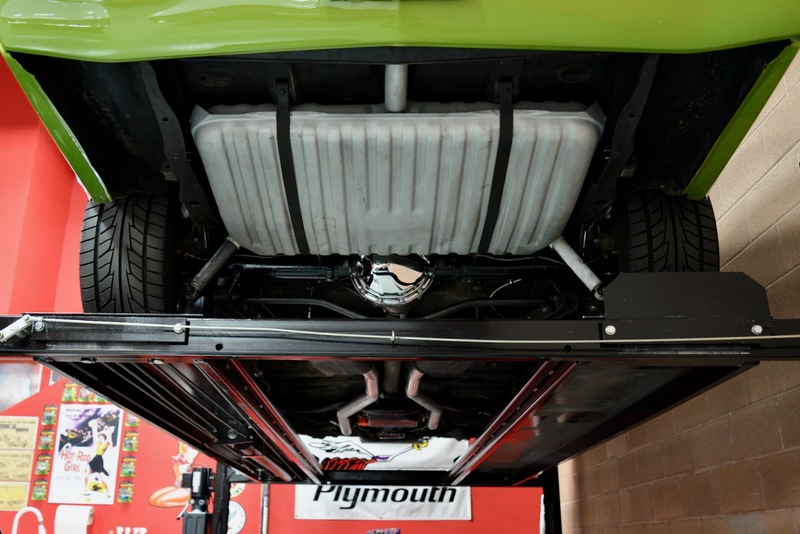 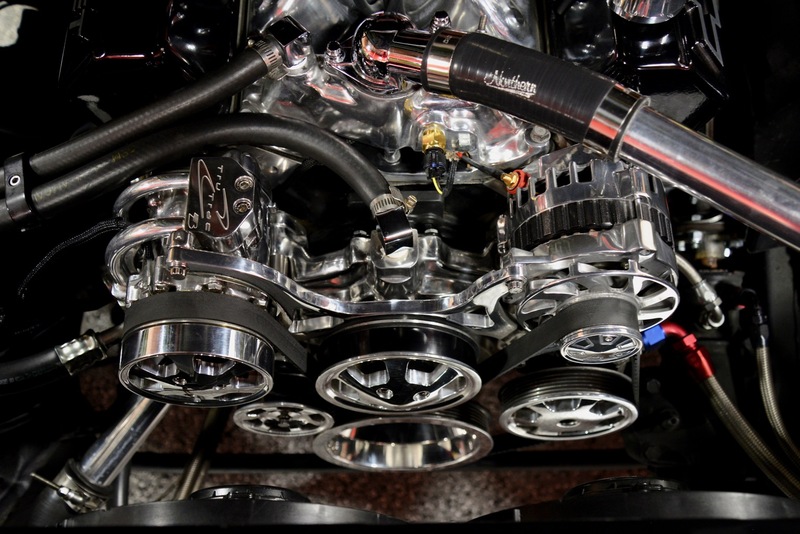 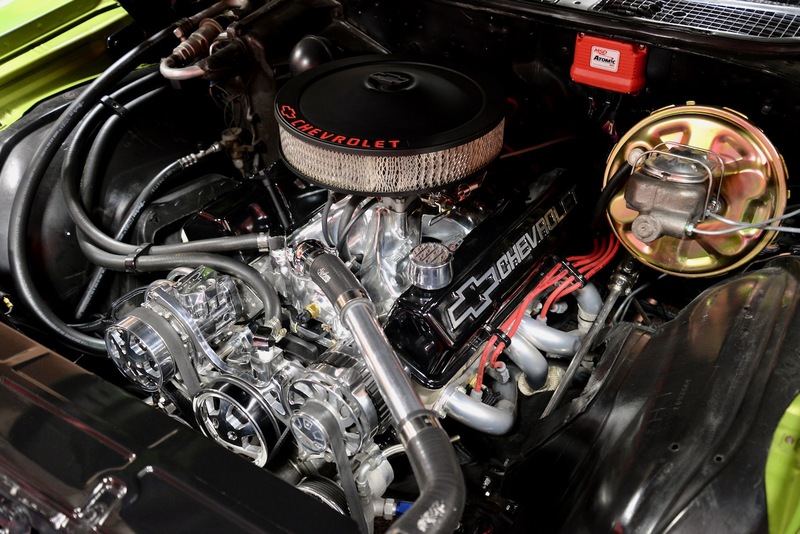 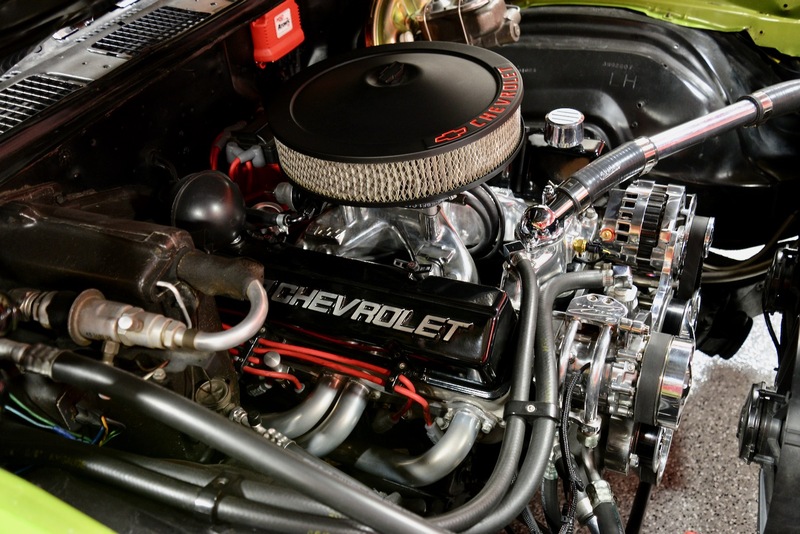 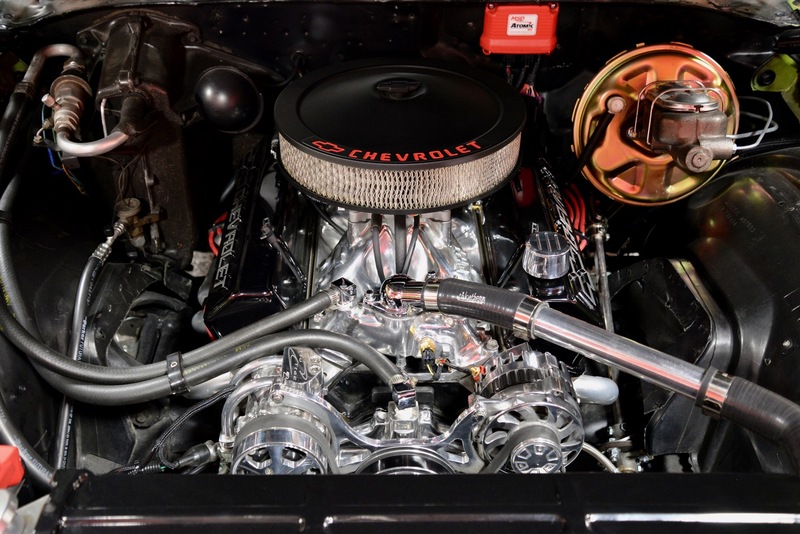 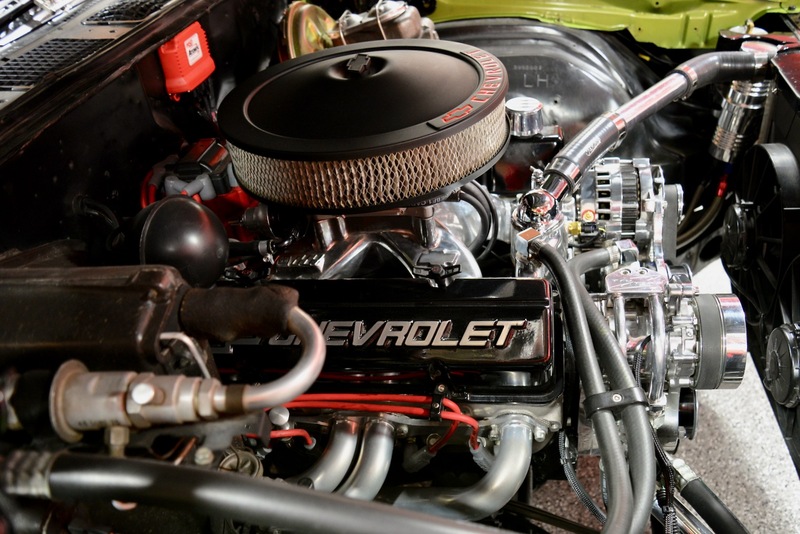 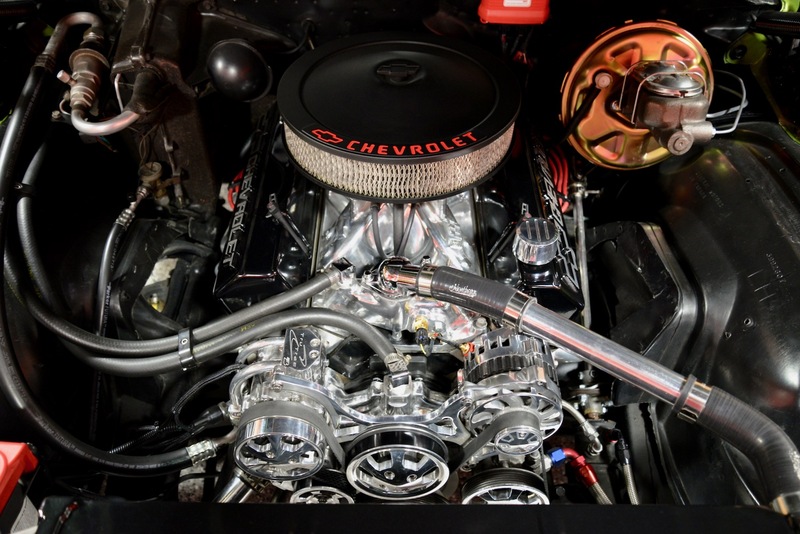 Pop open the hood and nestled inside the detailed engine bay you’ll find a new GM ZZ4 350ci crate motor pushing over 410 Lbs. 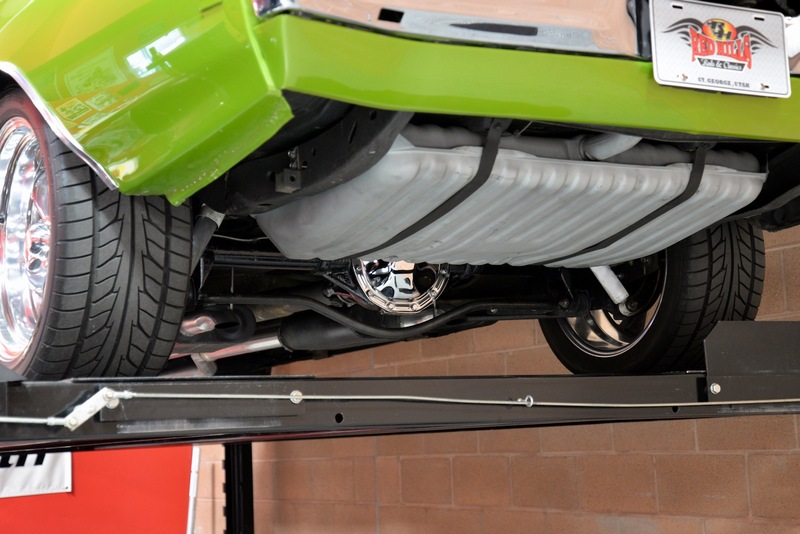 Ft/Torque. 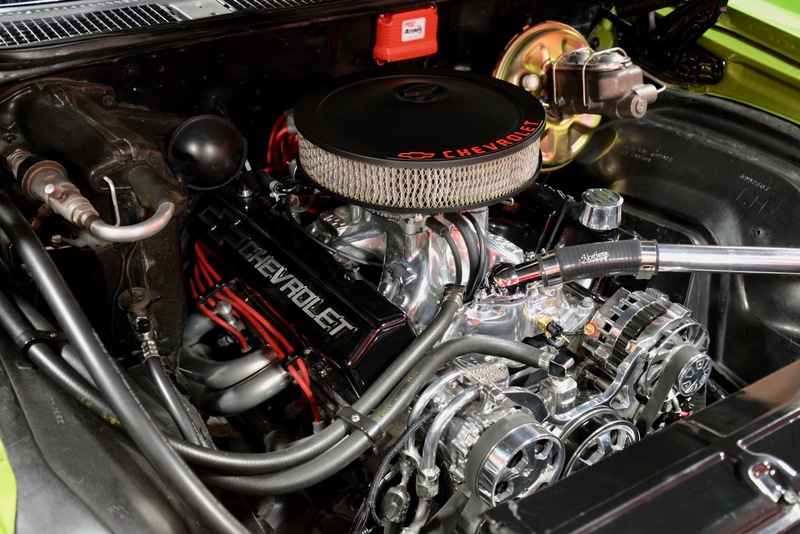 This aluminum head, 4-bolt, roller-cam, 10:1 compression, high performance GM motor features: dual-plane aluminum intake manifold, Holley 770cfm carburetor, Atomic EFI throttle body kit, polished billet serpentine system, HEI distributor w/ ignition timing advance curve developed for performance, black Proform GM Slant Edge Valve Covers, black air cleaner assembly w/ red Chevrolet logo, custom built stainless steel headers, Be Cool custom-fit aluminum radiator w/ high-output dual spal fans & billet coolant reservoir. 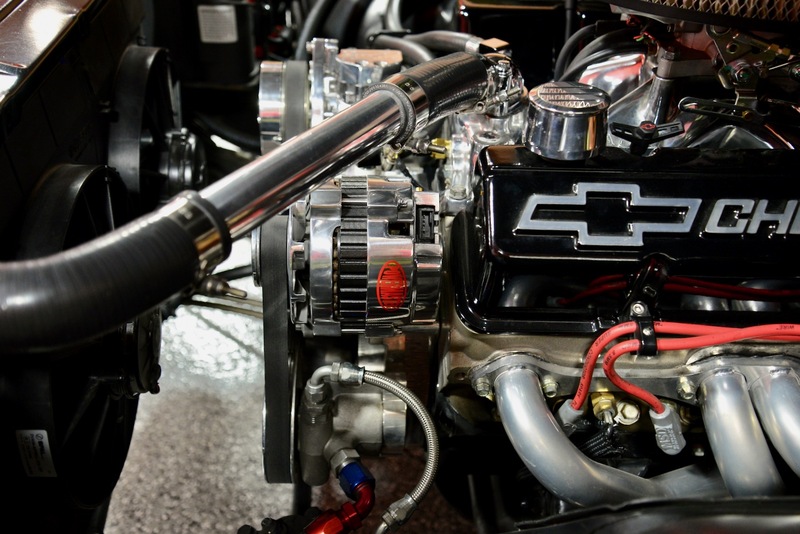 The GM ZZ4 motor is linked to a built TH 400 automatic transmission, which feeds power to an asphalt shredding 12-bolt rear-end w/ 3.73 gears. 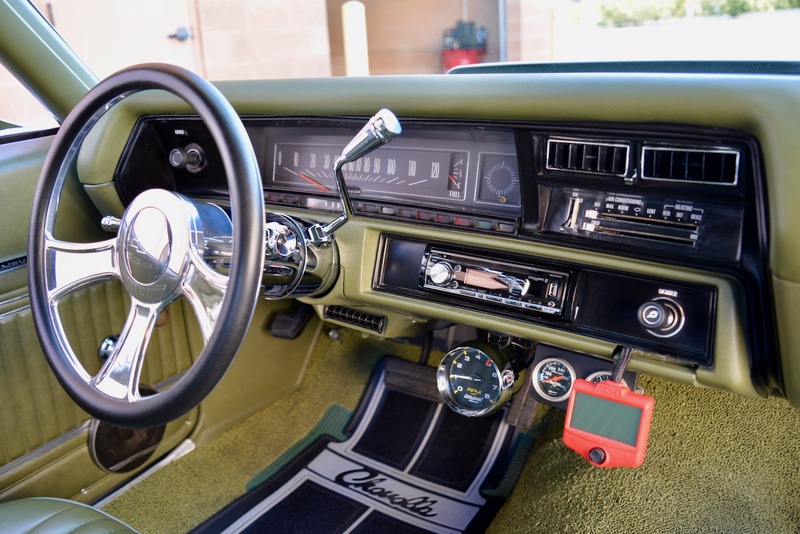 She fires up instantly w/ the flick of the wrist, settles into a nice smooth idle and when it’s time to go, let me tell you, she goes! 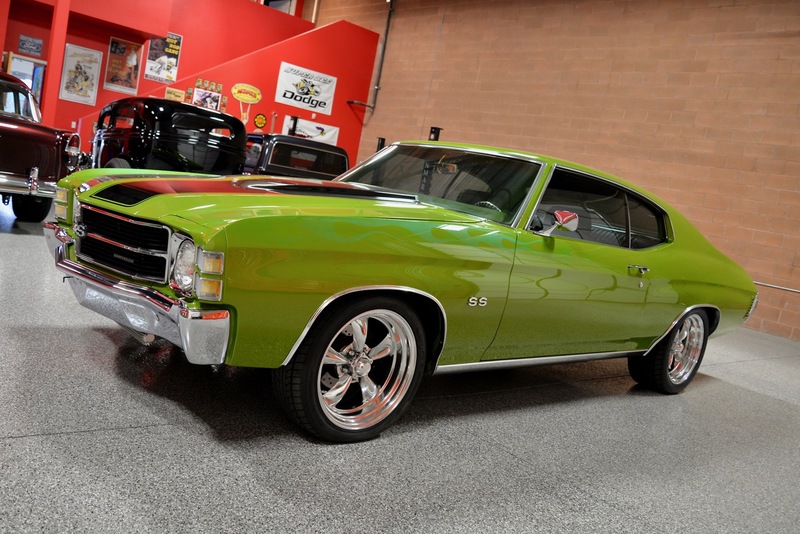 This beautiful ’71 Chevelle Custom runs, drives & performs beautifully in every way and is a BLAST to drive! 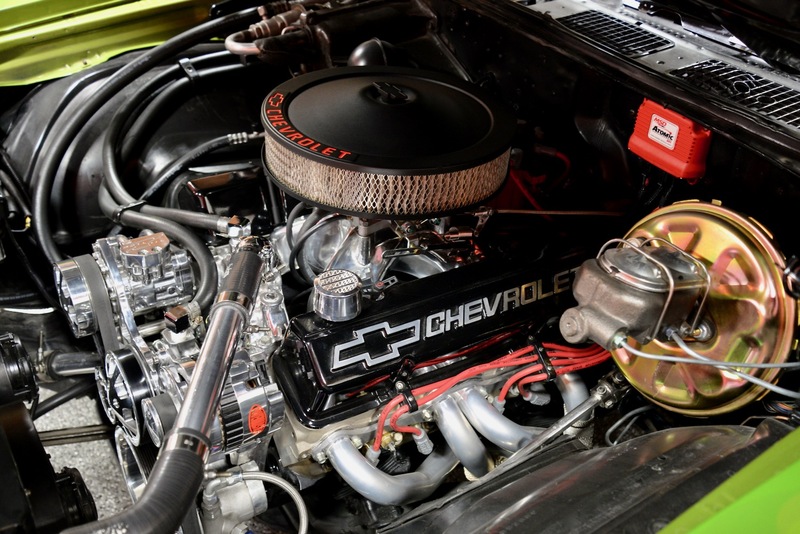 She delivers tons of power/torque and pulls very hard through the gears. 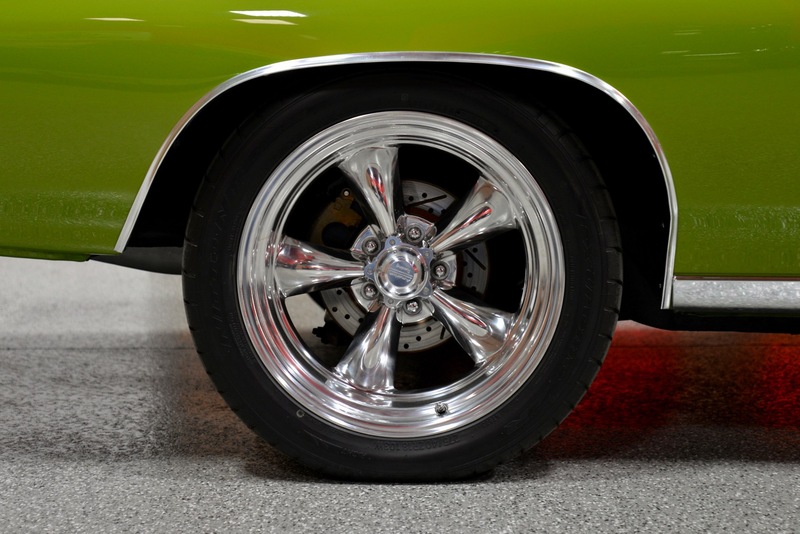 The power steering & 4-wheel power disc brakes make driving around town effortless, and when you jump on the freeway she tracks straight & true. 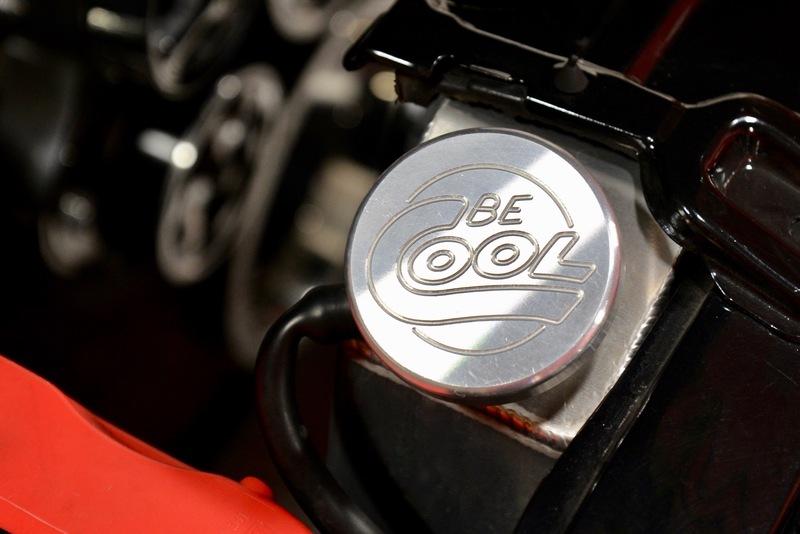 The aluminum Be Cool radiator keeps her running nice & cool even in 100+ degree summer weather. 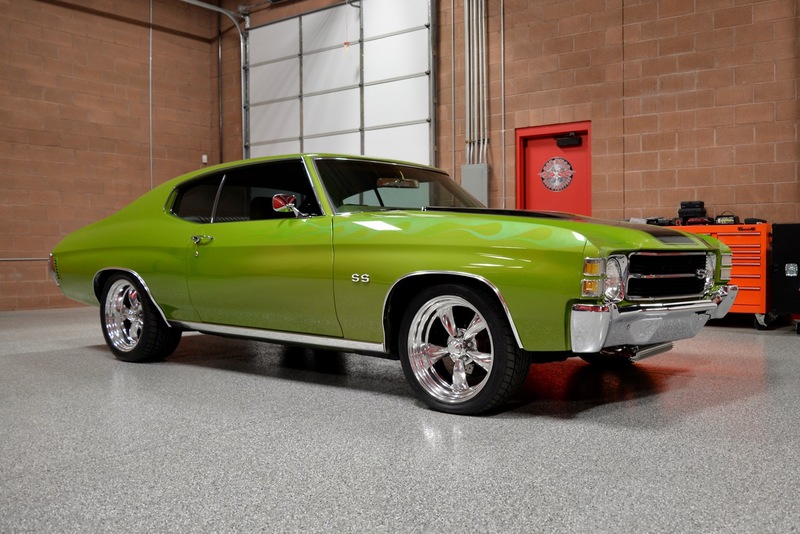 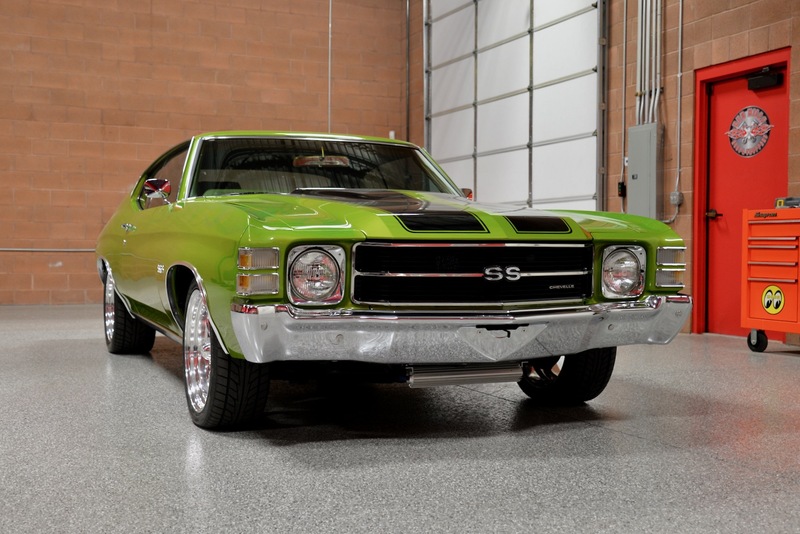 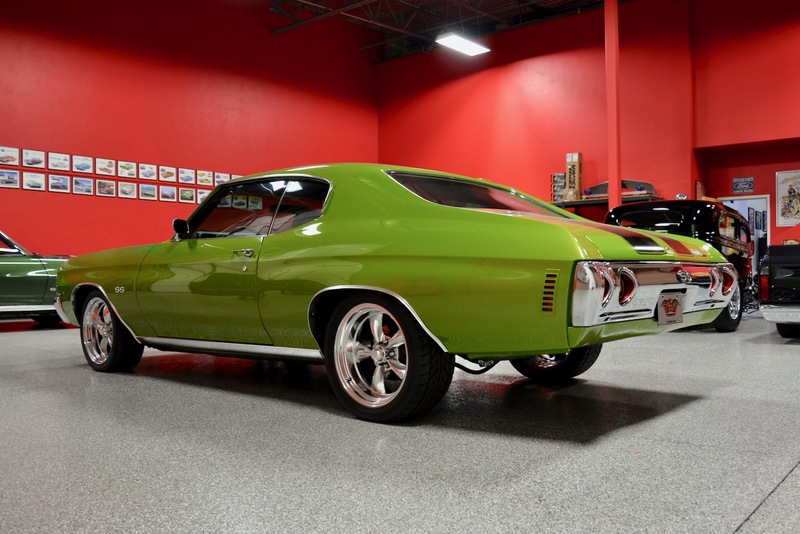 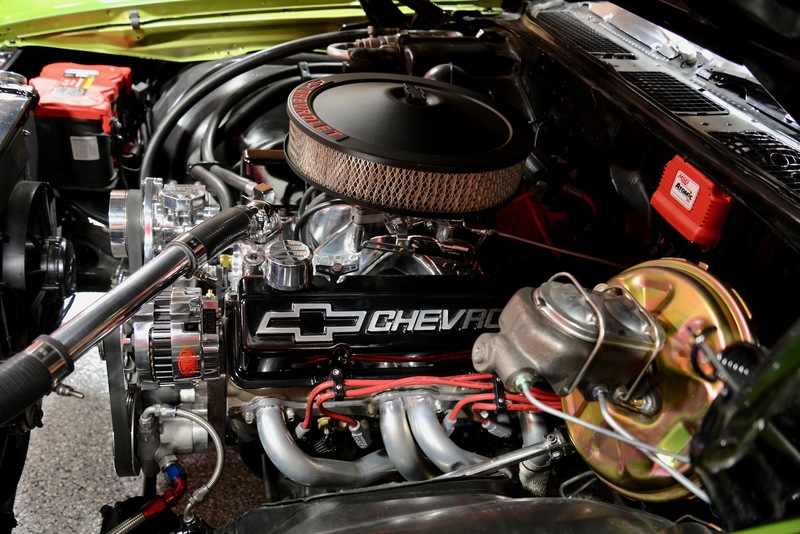 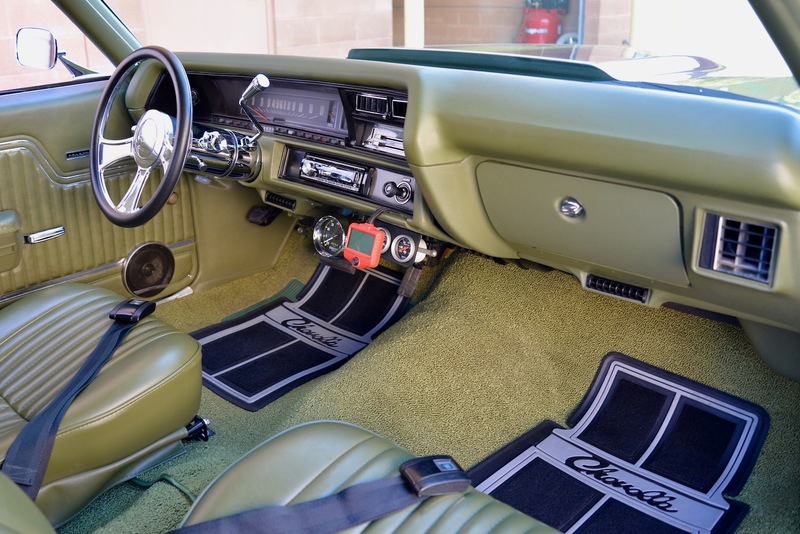 This 1971 Chevrolet Chevelle has the perfect blend between classic & contemporary. 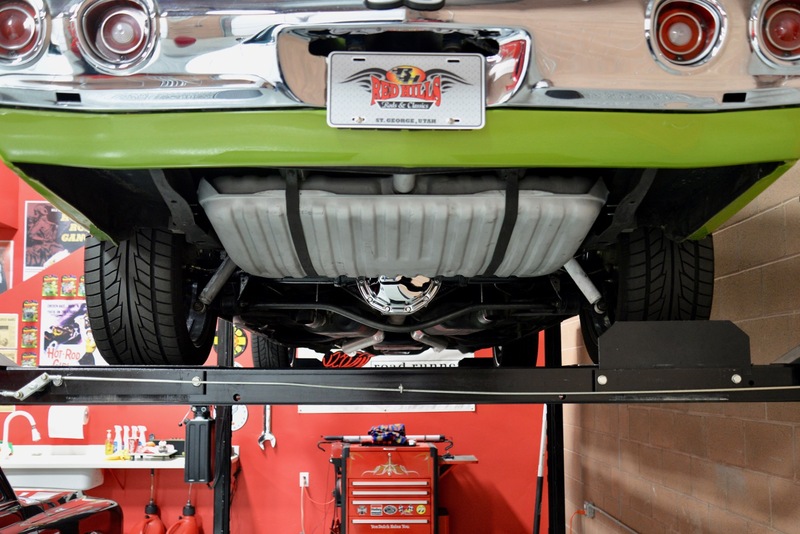 Wherever you decide to drive her, there will be a crowd around you within minutes, as this machine gets a ton of attention! 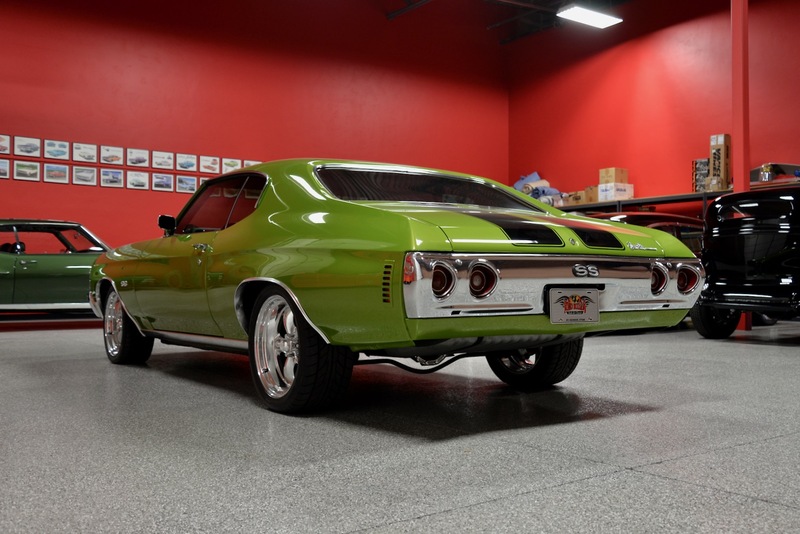 If you are searching for a classic muscle car that you can drive & enjoy to the fullest without worrying about reliability, as well as one that looks absolutely amazing, I believe I’ve got your car!